The old approach at sales known as the ABC’s of Selling or “Always Be Closing” is the opposite approach you should take if you want to be successful, according to the title of Jane Murphy’s pocket guide “There’s No Such Thing as Closing the Deal: A Brief(case) Guide to Successful Sales”. When you want to know how to close more sales, it just makes sense that you’d seek advice from one of the most highly recognized and successful sales team executives in the financial industry. Jane Murphy knows how to convert prospects into clients and in this brief guide, she shares the strategies and secrets she used to hit record numbers while leading the national sales division at Fidelity. Jane Murphy is the founder of Acceleration Retirement and has been selling financial services since the 1980’s and focused on the retirement plan business since the early 1990’s. Working for Fidelity Investments, she built a sales organization from 3 employees to well over 100. She also built a lead generation team from scratch to over 60 associates. Jane is well known for highly innovative sales approaches and processes. Her team produced over $3 billion in assets under management per year while selling no plan with greater than $5 million in assets (ALL OVER THE PHONE). 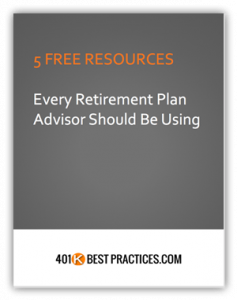 Jane’s lead generation team produced over 3,000 leads a year in all sizes of the retirement plan market including the tax exempt market. Jane is a sought after leader well known for turning lead generation associates into salespeople. I met Jane when my former partner, Don Settina, hired her firm to provide point of sale marketing material and lead generation services to help him grow his 401k practice. I liked her from the start because of her direct style, obvious insight into what works, and passion for getting results for her clients. I was even fortunate enough to have an opportunity to attend one of her sales training workshops and there’s no one I’d recommend more for sales strategies that work. This guide provides an honest, and sometimes funny, look at topics like research, rejection, and getting past the gatekeeper. You’ll find step-by-step tips, scripts, and quips on the entire sales process from the first phone call to the first appointment and beyond. Don’t Make Me Pick Up the Phone! Holy####! I Have the Prospect On The Phone. OMG! I’m in a Conversation. Now What Do I Do? Okay, the Call Was Easy. But Now I’ve Got to Meet With Him! The Meeting Went Well. Why Haven’t They Called? It’s a short read (bullet point style) but chock full of valuable information. Jane’s no-nonsense training style comes through and this book has what you need to know without the typical drawn-out back-story and fluff (which is why I’d highly recommend it for anyone that is looking for actionable ways to convert prospects into clients). 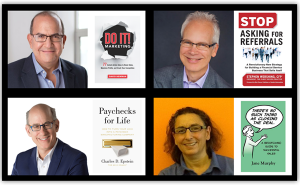 I’d recommend this guide for any sales professional (not just retirement or financial industry sales – ANY sales professional) that wants to learn simple, yet highly effective strategies for connecting with and converting prospects into clients. You can grab a copy of the book “There’s No Such Thing As Closing the Deal” here on Amazon.com and if you want more advanced sales training, I’d recommend heading over to Jane’s company website at accelerationretirement.com and checking out her new sales bootcamp.